Bleached hair can be manageable with weekly deep conditioning and daily hydration. When hair is bleached, the original color is completely lifted -- and moisture and nutrients are removed along with it. It can be a nuisance to find that your newly lightened hair has become dry and difficult to manage. The key to treating and styling bleached hair is to moisturize whenever possible. Use hydrating products while washing, styling and touching up your hair on a daily basis. With the right moisturizing techniques, your hair will be on its way to regaining a soft and lustrous finish in no time. Wash hair with a mild hydrating shampoo. 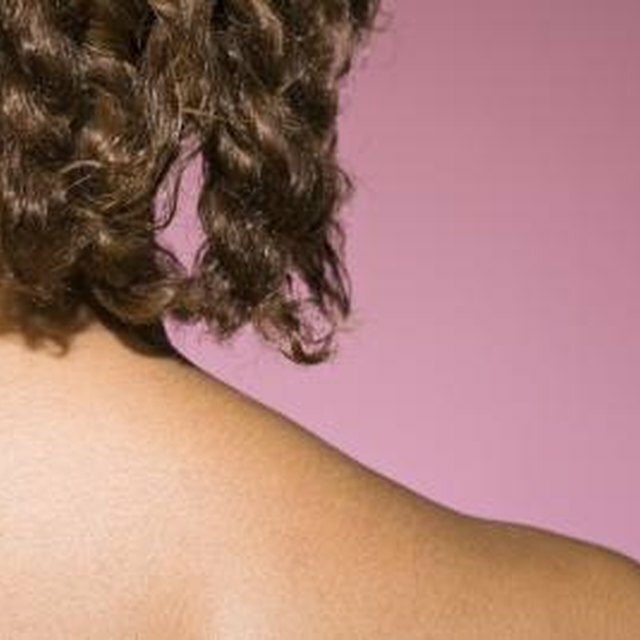 Lather at the nape of the neck and the scalp with your fingertips, but avoid the ends of your hair. Rinse completely in lukewarm water. The shampoo will cleanse the ends of your hair as it is rinsed, without removing moisture with a harsh lather. Apply a deep-conditioning mask to your hair from root to tip once a week. Opt for a natural oil-rich mask formulated for chemically treated hair. Allow it to sit for five minutes, then rinse completely. Gently squeeze your hair dry with a towel, rather than rubbing it furiously. Work a dime-size amount of leave-in conditioner into your hair from mid-length to the ends. Apply a hair oil or serum to the ends of your hair. Opt for an oil treatment if you have naturally coarse hair, or a serum for finer hair. Either will penetrate the hair shaft to lock in hydration and add shine. Comb your hair from root to tip with a wide-toothed comb to evenly disperse the products. Allow your hair to air dry as often as possible. If heat is required, let your hair air dry until it is nearly dry, then blow dry on low heat to minimize damage. Touch up your hair with a small amount of oil or serum whenever necessary. Leave the deep conditioner on your hair overnight whenever possible, then complete the routine in the morning, for smoother-than-ever hair.